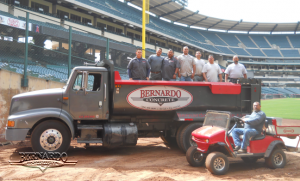 Concrete Construction – Concrete Contractors, Concrete Construction, Concrete Paving | Bernardo Concrete Inc.
Getting a concrete driveway is a great idea and one that will increase the equity in your home whether you’re planning on selling right away or just enjoying the new renovation. Using this material means there are a few things you should understand about concrete construction in general so you’ll have some background when you finally decide on a contractor to handle the job for you. Although many people only think of it as a problem associated with older homes, concrete driveways can start to sink under some circumstances. Remember that fixing a sinking concrete driveway is a long job that involves expertise in concrete construction and repair. 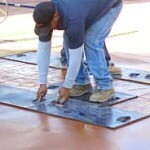 It’s necessary to look for the contractor that has a proven track record of tackling this kind of work. Have a good look at the firms website to make sure they have the experience you need. Of course it goes without saying, you need to be sure to get a professional working with you that understands all elements of concrete construction for the concrete driveway. They’ll need to know a lot about the sub-grade because most experts will tell you that’s one of the most important elements. Just the right amount of dampening makes sure the chances of fissures are lessened. Whats important here is a few inches of granular fill that can include pea gravel or even crushed sand. Thickness is another consideration in making sure your concrete driveway can handle the traffic on it. Usually the proper concrete construction allows for 3 ½ to 4 inches when only cars will be parked on the surface and the material should be 4 ½ to 5 ½ inches thick when heavier vehicles like trucks are parked on it. Finally, you’ll need to have a good look at the website of the place you are considering. One of the criteria you’ll want to stay on top of before you make any final decisions about the concrete construction company you’ll select for your concrete driveway is reputation. Make sure to take a good look at the testimonials on the site and also at the flexibility. While you might be looking at getting the driveway done for now, theres nothing to say you won’t need some other project taken on down the road.